These are some of the prettiest gemstones I've come across. 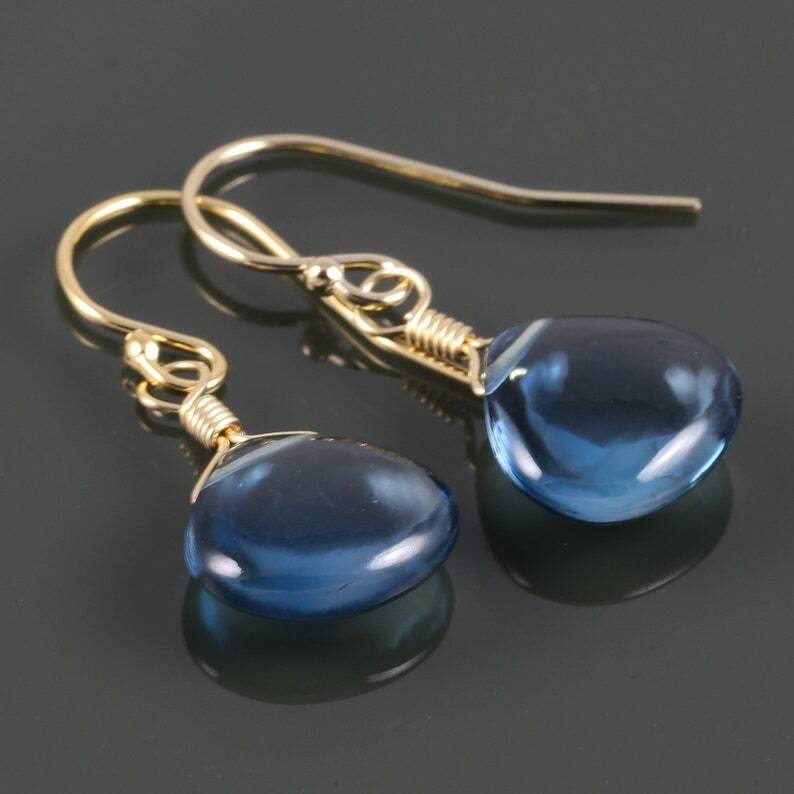 These lovely little earrings are London blue topaz gemstones dangling from gold filled ear wires. The topaz is a gorgeous deep blue and a smooth drop shape. The stones measure about 9x9mm. The earrings measure about 1 inch (2.5cm) in length from top to bottom. London Blue Topaz Necklace. Sterling Silver. Genuine Gemstone. December Birthstone. ADD-ON LISTING: 3mm Natural Gemstone Birthstones for Sterling Silver Filigree Pendant. Mother's Pendant / Grandmother's Pendant. 2 Birthstones. Teardrop. Sterling Silver Necklace. Genuine Gemstone. Custom Jewelry. Gift for Her. Filigree Pendant. 1 Birthstone. Sterling Silver Necklace. Genuine Gemstone. Marquise Shape. Scroll Design.